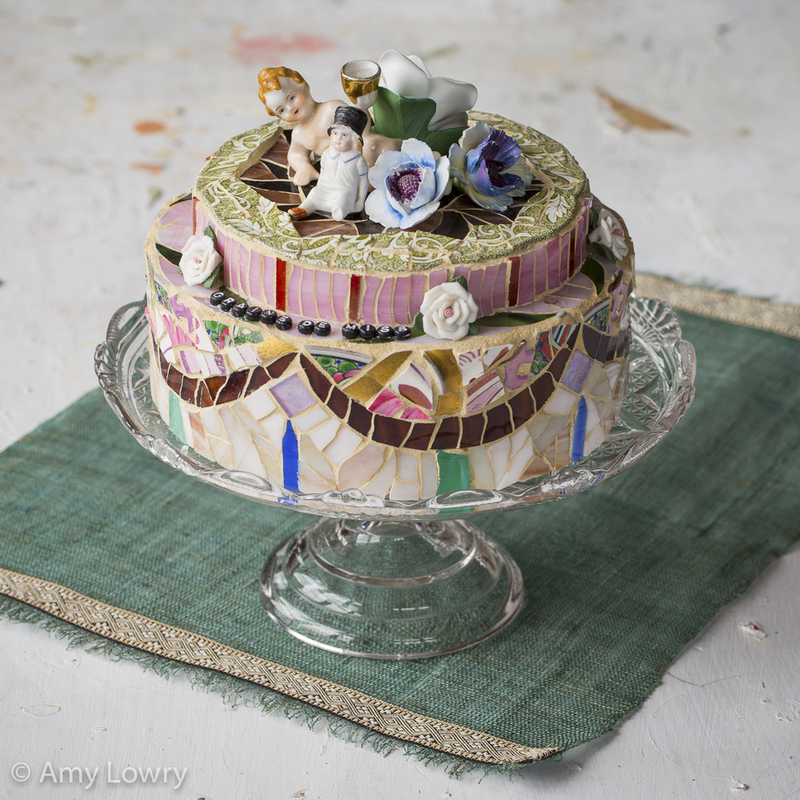 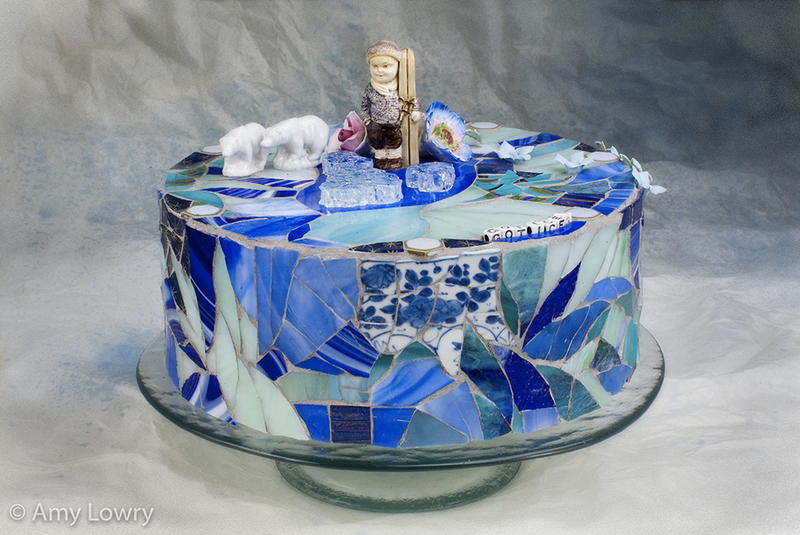 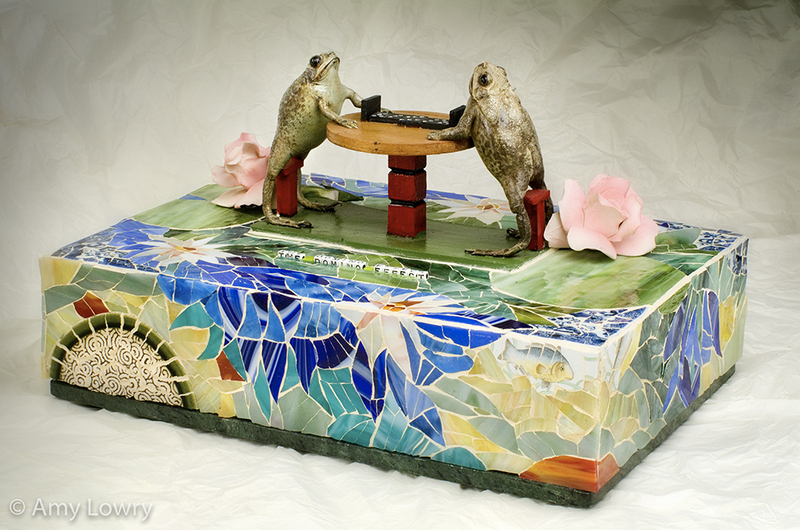 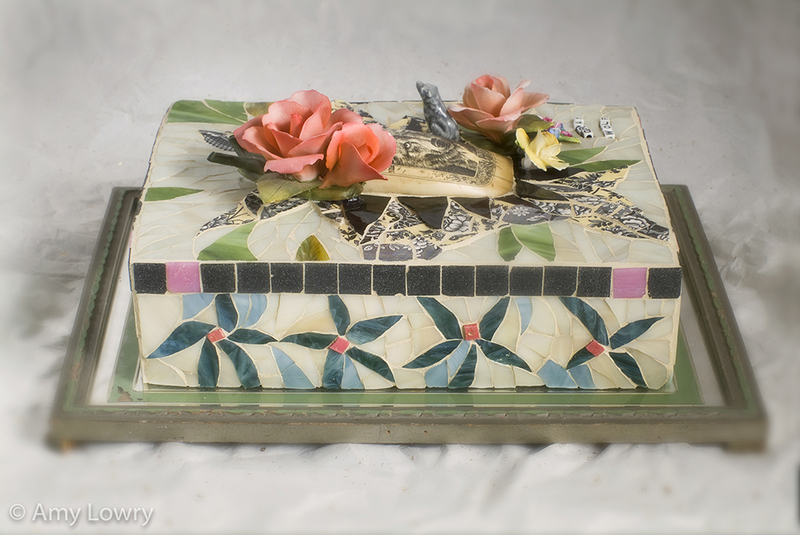 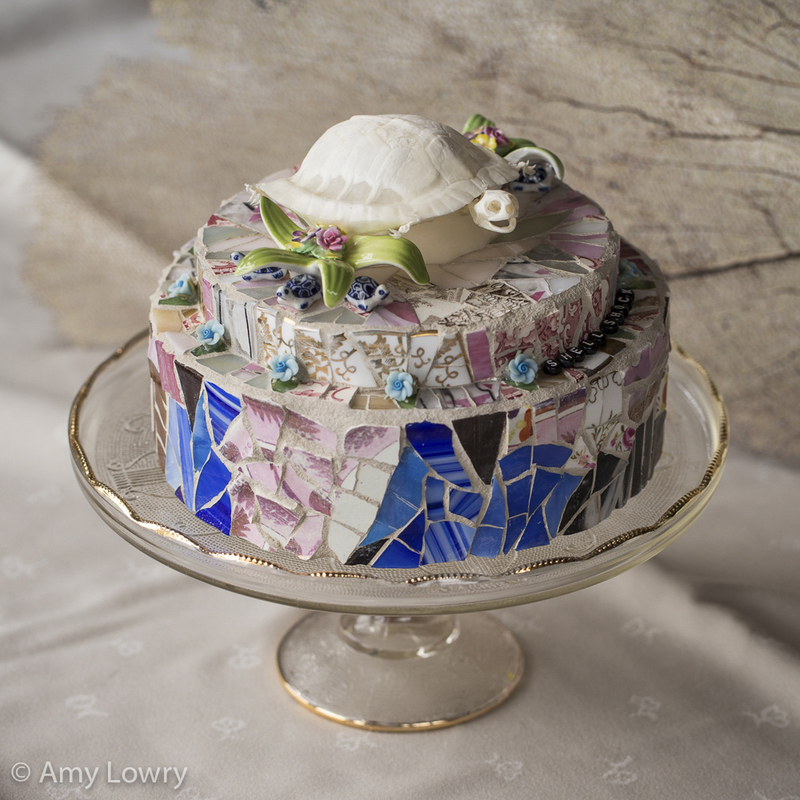 My mosaic work combines glass, tile, china, and found objects in free form technique known as Pique Assiette. 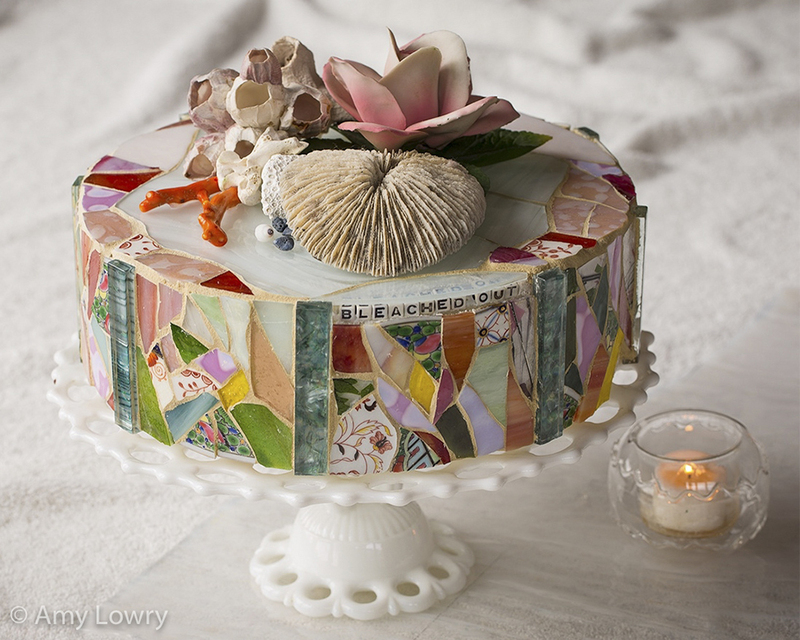 The shapes, colors and textures dictate a composition that is both abstract and instinctual. 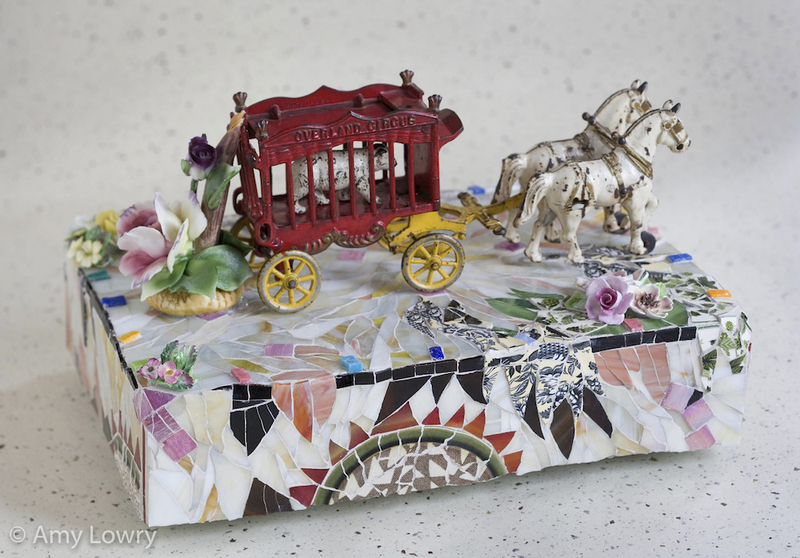 There is often a history in my work, as I have kept chips and shards of china from various times and events of my life. 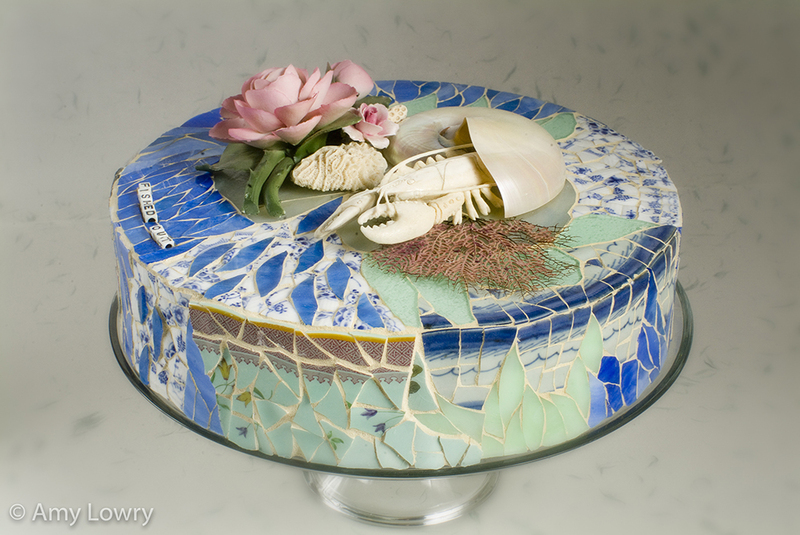 After being part of the Cool Globes event in Chicago, I was inspired to create art to help draw attention to our natural and political environment. 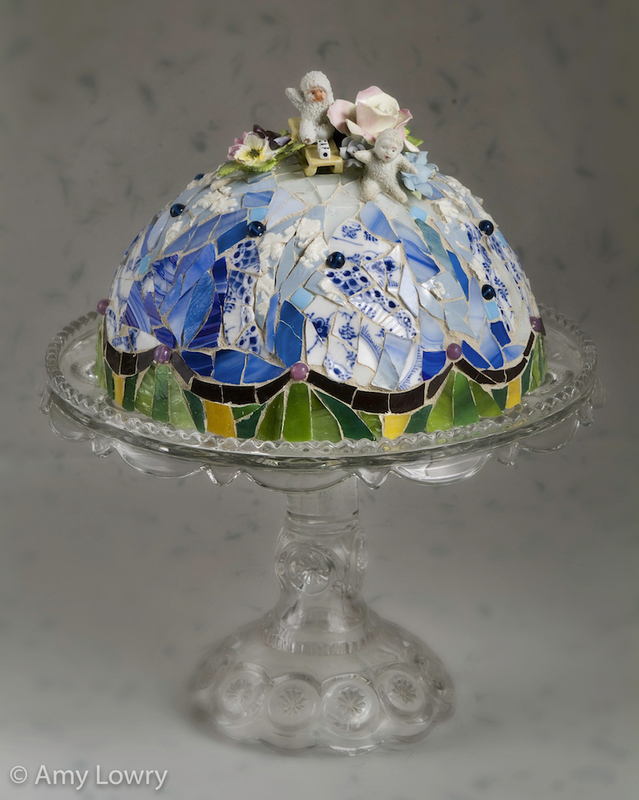 The cakes explore the premise of reverse functionality – taking a recognizable object and giving it a contradictory meaning. 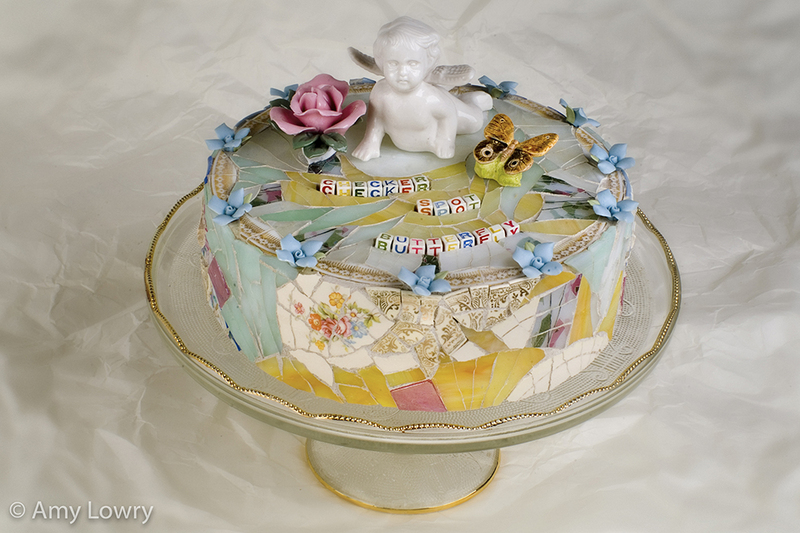 Cake by definition is a soft item of food made of sugar, eggs, and flour, and often decorated. 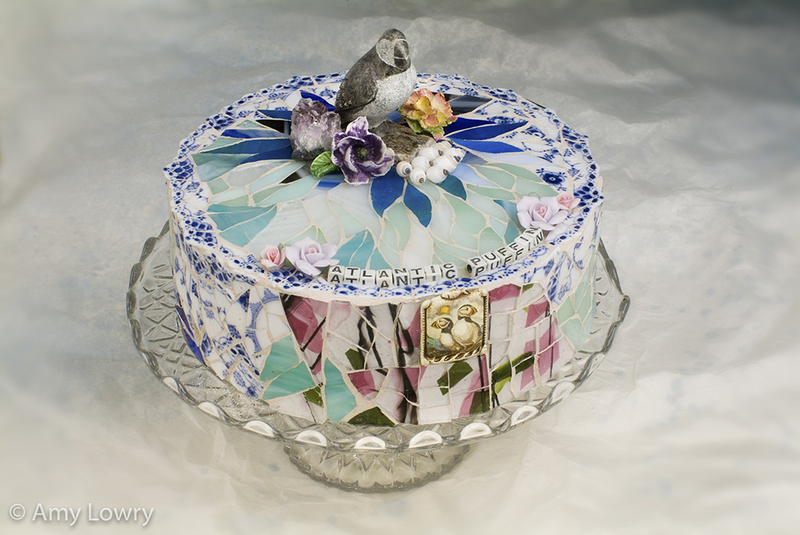 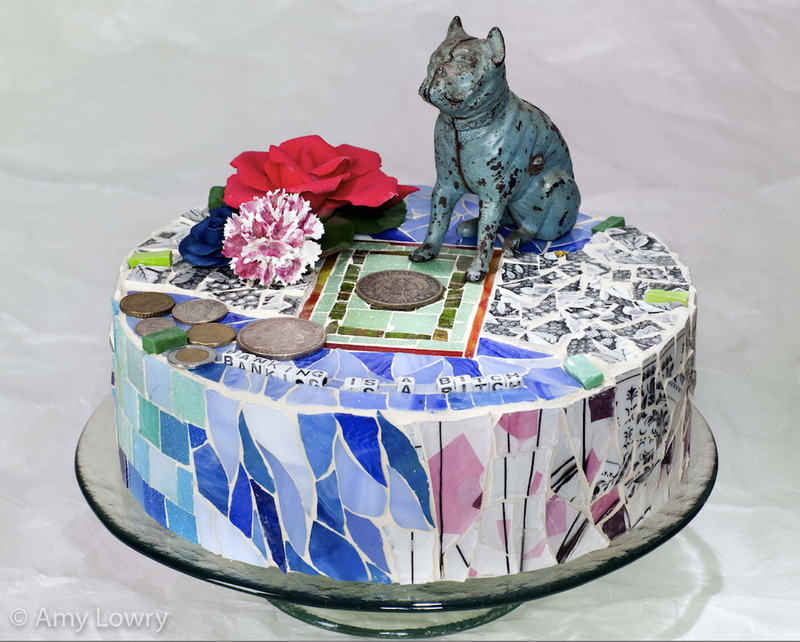 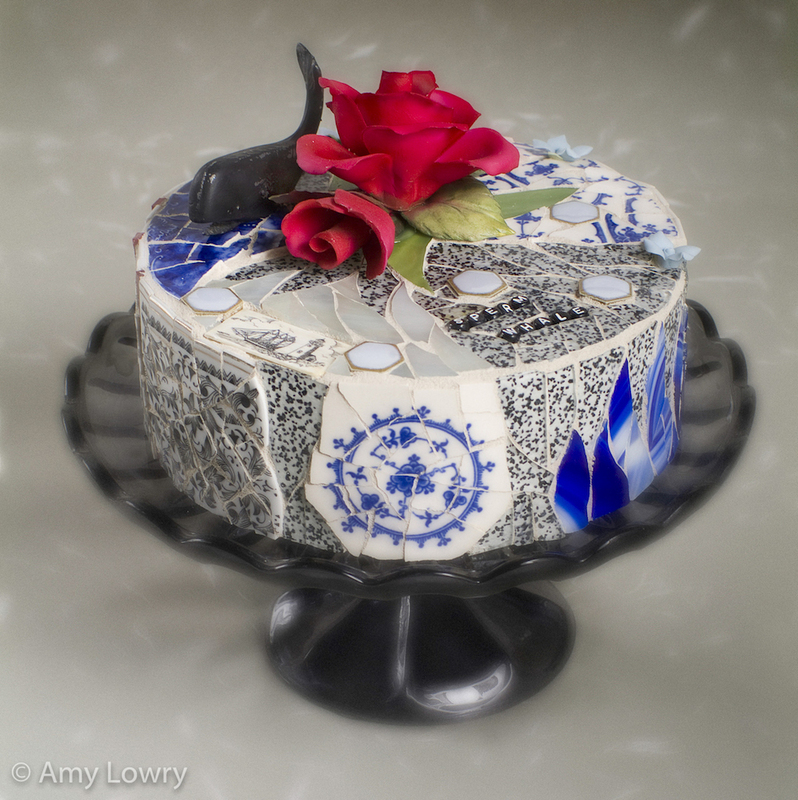 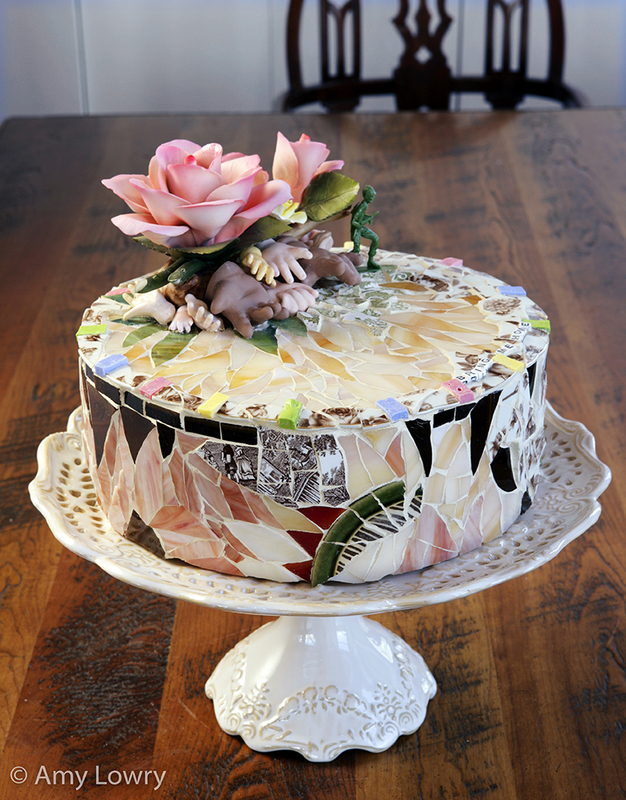 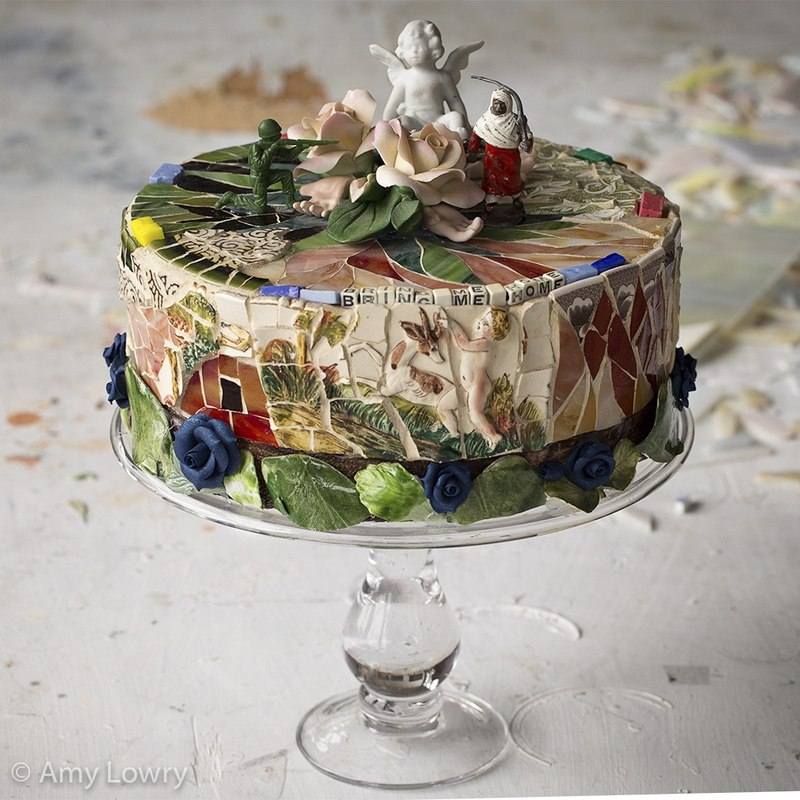 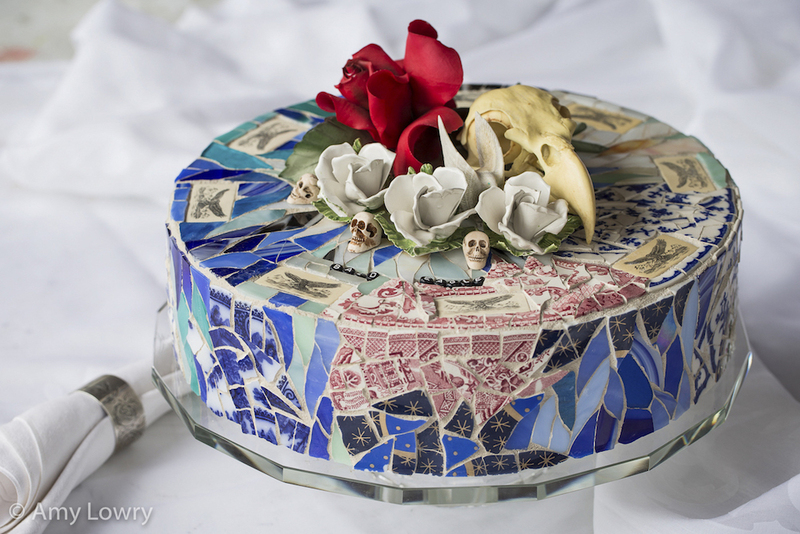 These cakes are made of shards of glass, ceramic and tile. 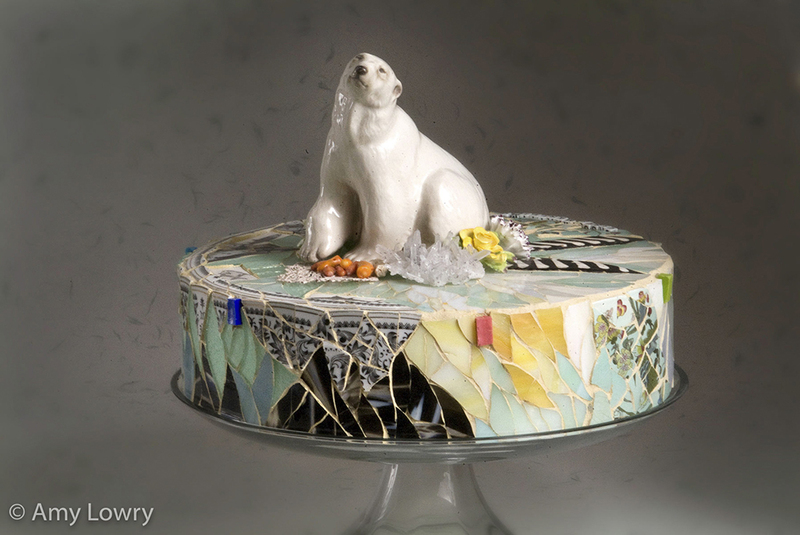 Their subjects range from endangered wildlife and climate change, to commentary on our current political situation. 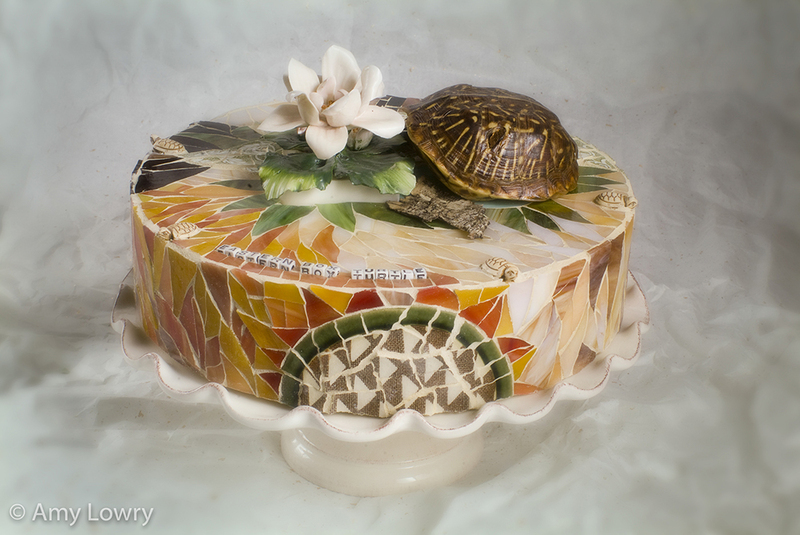 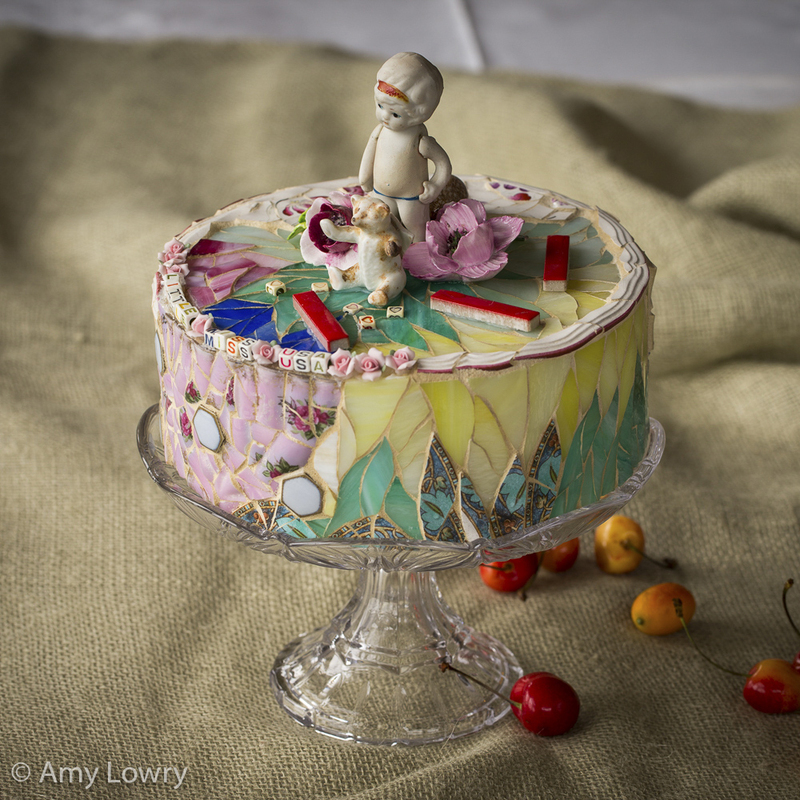 In this case the viewer is attracted to the cake as a familiar item most often associated with joy, comfort, and celebration. 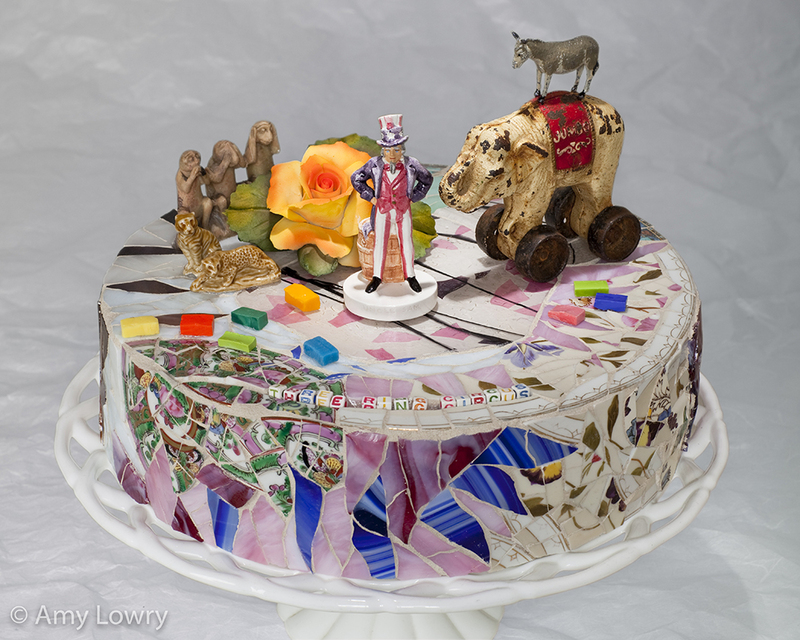 Upon closer inspection, the viewer realizes that these cakes are not meant to celebrate, but to draw attention to serious issues.